Have you tried using Gripple kits for the quick and simple installation of building services? They consist of a lock, lengths of high tensile wire rope and a choice of end fixing. Gripple kits are designed to speed up the installation of a variety of mechanical, electrical and HVAC services, saving valuable time required for both preparation and working at height. With time and labour at a premium on site using the right Gripple kit and end fixings can be key. The specialist end fixing allows for a quick installation by simplifying the fixing to the required surface or the actual services being installed. However, with so many end fixings to choose from it can be difficult to select the right kit. 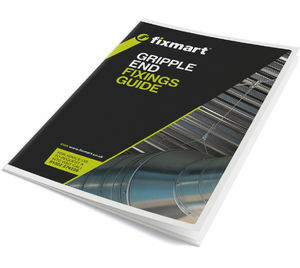 So, in association with Gripple we have produced a guide covering each of the end fixings available to help you select the right one for the job. The guide focuses on each of the end fixings available, their application, dimensions, installation method and safe working load.